Since its publication in 1951, The Catcher in the Rye has been a cultural phenomenon, not only as an assigned text for English courses, but as a touchstone for generations of alienated youth. As the focus of recent major films and a successful off-Broadway play attest, J.D. Salinger and his novel continue to fascinate an American reading public. But who was J.D. Salinger, and how did he come to wr… ite a novel whose impact continues to resonate with millions of readers? In J.D. Salinger's The Catcher in the Rye: A Cultural History, Josef Benson examines the legacy of an elusive author and his work. 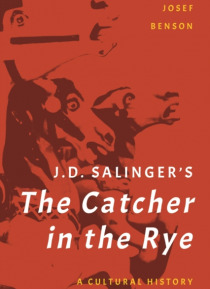 After exploring how the novel reflected Salinger's tortured psyche, the study discusses how the book made an impact on multiple generations of readersfrom 1960s counter-culture youth and followers of the Black Power movement of the 1970s to the disenfranchised teens of the Reagan era and the celebrity-fixated masses of the present day. Benson also unravels the mystery behind Salinger's reclusiveness, the effects the novel had on the reading public who adored it, and why three American assassins cited the novel as an inspiration.The author also considers why this work of fiction has been among the most widely taughtand most frequently bannedbooks of all time. By looking at the novel as both an artifact of the 1950s as well as a living testament to the turmoil of teenage angst, J.D. Salinger's The Catcher in the Rye provides a riveting discussion of one of the most enigmatic novels and authors of all time.